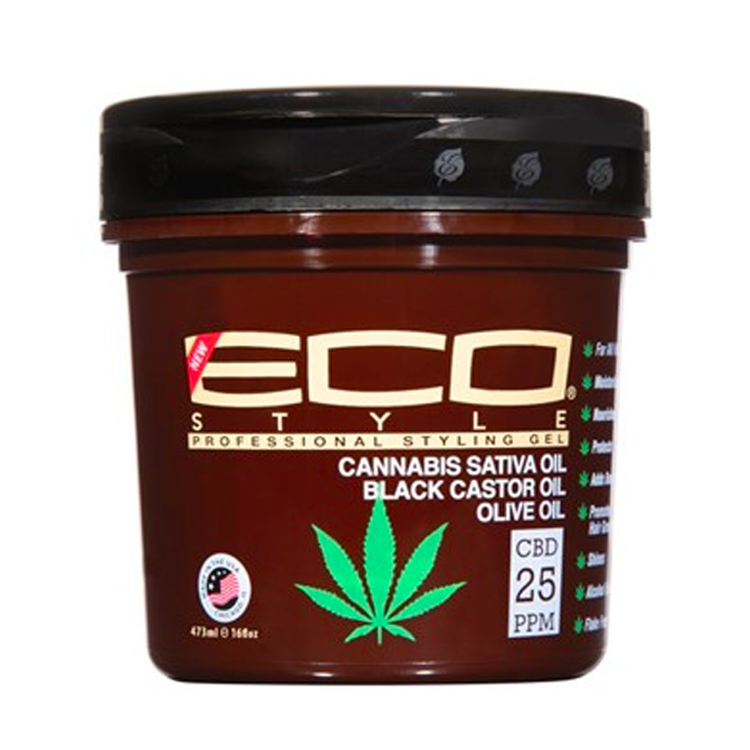 Eco Style Cannabis Sativa Oil, Black Castor & Olive Oil Gel is everything your hair needs, in one styling gel! EcoStyle® Cannabis Sativa Oil Gel brings together the greatest elements of our top products with the natural element of Cannabis Sativa Oil. 100% pure Olive Oil helps moisturize your scalp, while Black Castor Oil repair and promote hair growth. Like all of our gels, it will leave your hair weightless yet superior hold and healthy shine. DIRECTIONS: Apply to dry or wet hair. Work desired amount through hair. Style as desired.